Rolfing® Structural Integration is an effective form of manual therapy which focuses on optimizing function and ease of the whole body by balancing the connective tissue support system (Fascia) that wraps and connects the muscles, bones, and organs. Rolfing often addresses the causes of pain or restricted movement versus limiting work to areas which are expressing symptoms. Rolfing aims to reorganize the body, recruiting gravity as a supportive tool versus a force which breaks the body down over time, depleting our vital energy. Rolfing offers a wide range of benefits from physical, emotional, and psychological. Rolfing has the ability to offer options in the way we move, look, think, and act. Most everyone can benefit from Rolfing. Rolfing can also be helpful in psychological recovery processes, giving more options in feeling and thought patterns. 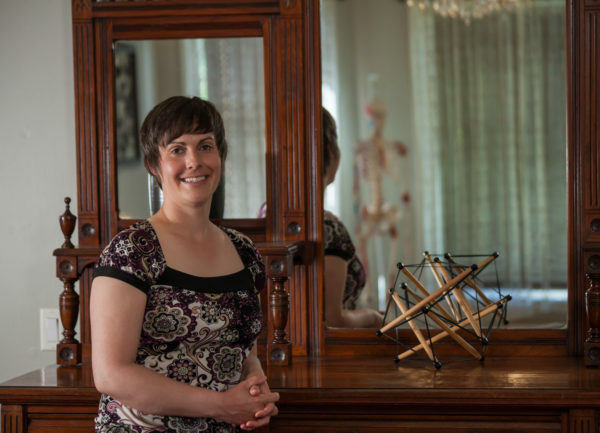 Rolfing is a holistic approach to the body with the belief the physical body, mind, and spirit make up the entire person, change with one aspect will offer the option of change in other aspects of life. Through working together, we can help you find a happy, more easeful, vital body, to better enjoy the things you love. Come Experience Rolfing Structural Integration for Yourself!